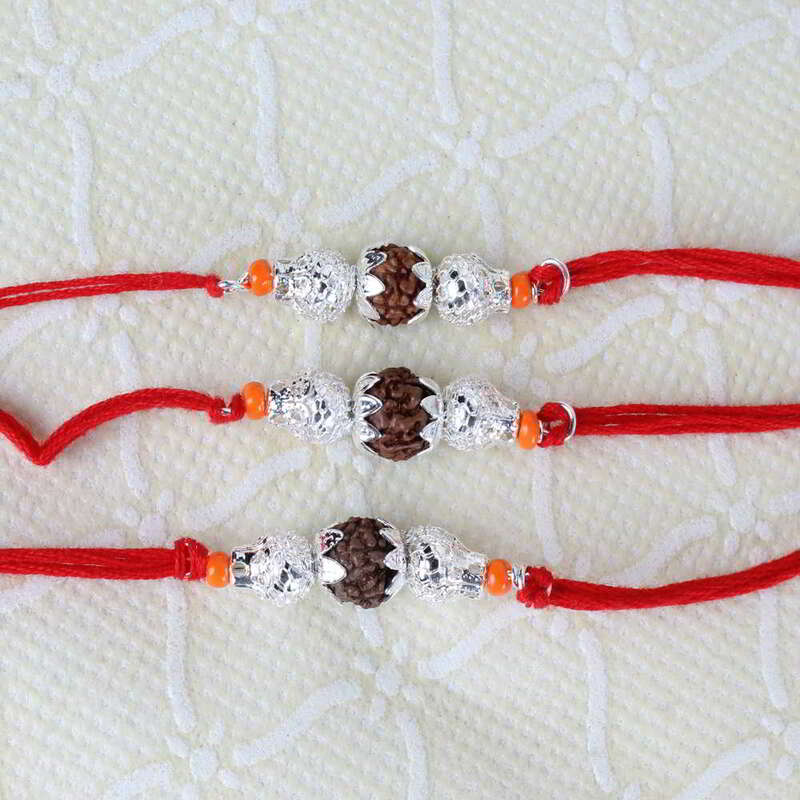 Product Consist: Three Silver Shiny Rudraksha Rakhi. Giftacrossindia.com celebrates the occasion of love and togetherness. 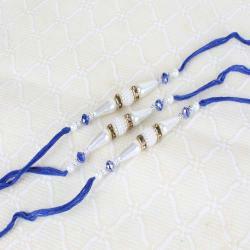 Get this Precious Set of three Rakhi for your dear brothers and surprise them with love, create moments which will last forever. 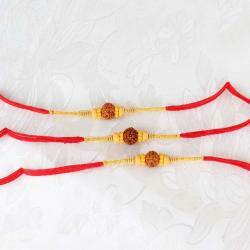 Raksha Bandhan is the most important day for siblings to show their love, respect and care for each other. 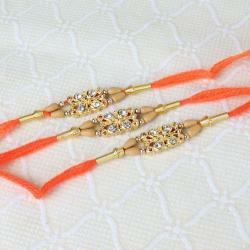 This set of three rakhi has beautiful designer rakhi threads which will look great in your brothers wrist. 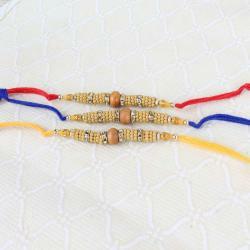 So, send your blessings to your brother with these Set of Three rakhis.